Francisco will be teaching a workshop over the weekend and looks forward to connecting with the entire Boulder community. 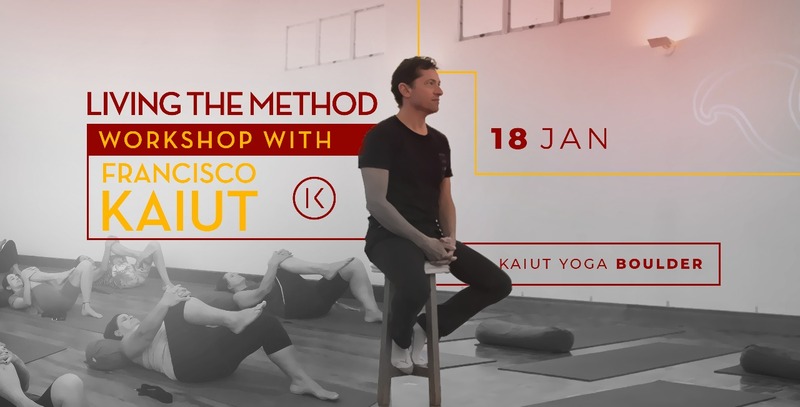 This workshop is open and suitable for everyone from those with an existing Kaiut Yoga practice to those that have never tried yoga and are seeking ways to improve their health and well-being. This workshop will not be held at Kaiut Yoga Boulder (Nevei Kodesh). The workshop will be held at the Nalanda Campus of Naropa University in the EVENTS CENTER. See the map below for driving directions and view this map for parking and getting to the events center once you have arrived. If you need assistance signing up for these classes please call or contact us. If you encounter a problem registering for classes please clear your browser cache.